Their voices were down to earth and heavenly. Their hope-filled plea to God made us want the same for all children, made us ready to desire it, and made us think that it is really possible. They sang at the end of the interfaith prayer service with Pope Francis at Ground Zero. The sang in front of leaders of religions. 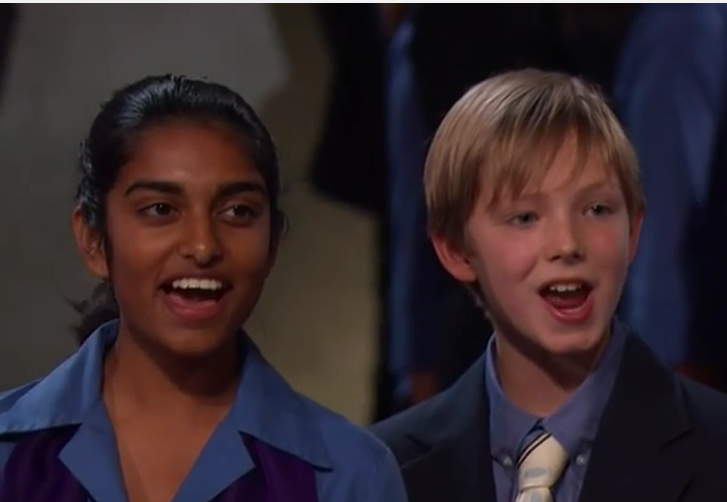 They sang on behalf of all children of our world. We have been blessed to have been able to hear Pope Francis in his talks to us! I especially loved him speaking to all the world leaders so clearly about so many agonies on this earth like trafficking young children and so many more impoverished families!! He is not afraid to bring God’s message! Thank you Lord!